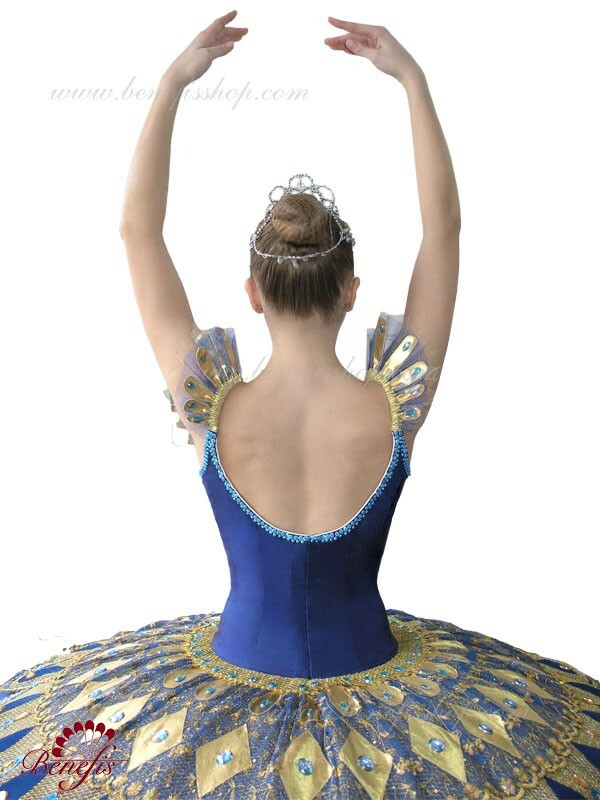 This professional stage costume is made on the base of the professional basic of eight-layered tutu with 2 rows of steel hoops. 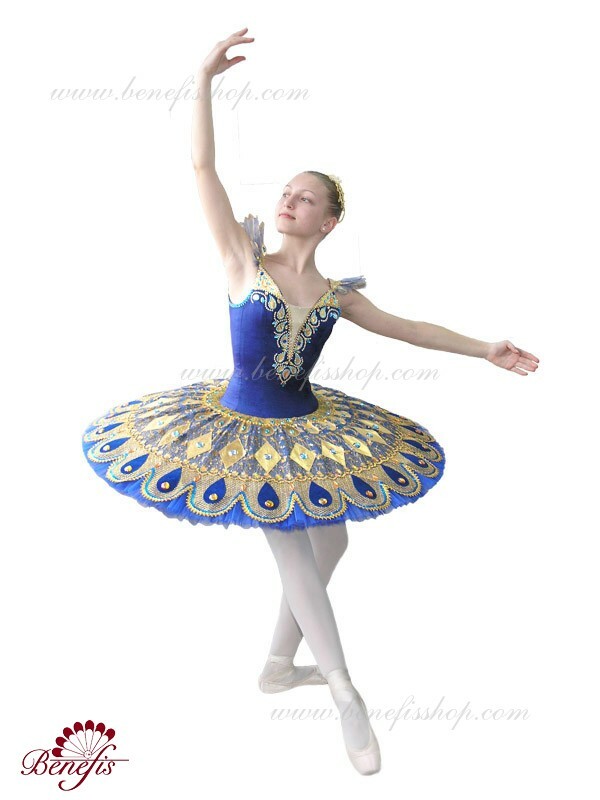 The tutu is in shape of umbrella (# T0002A). 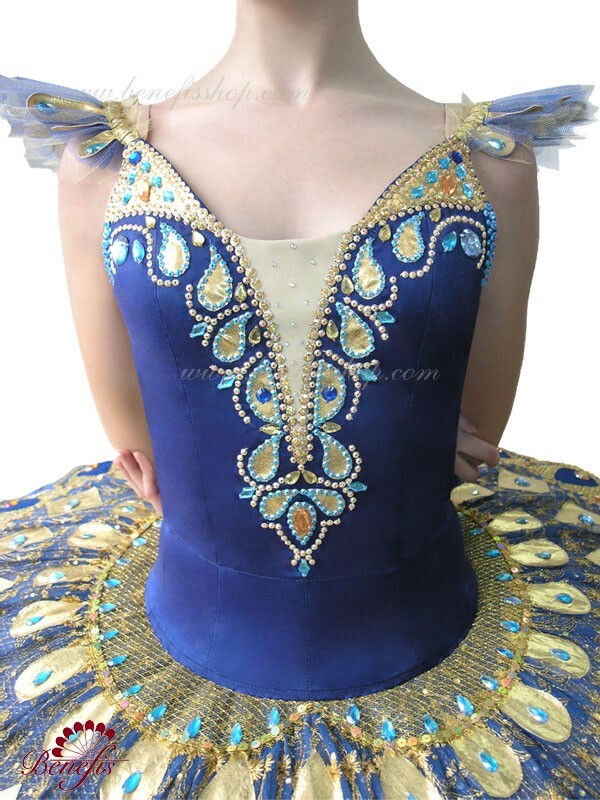 The bodice is made of dense fabric with elastic flesh-colored straps. There is a flesh colored inset on the chest. There are two rows of hooks on the backside of the bodice for the comfortable adjustment in breast aria. 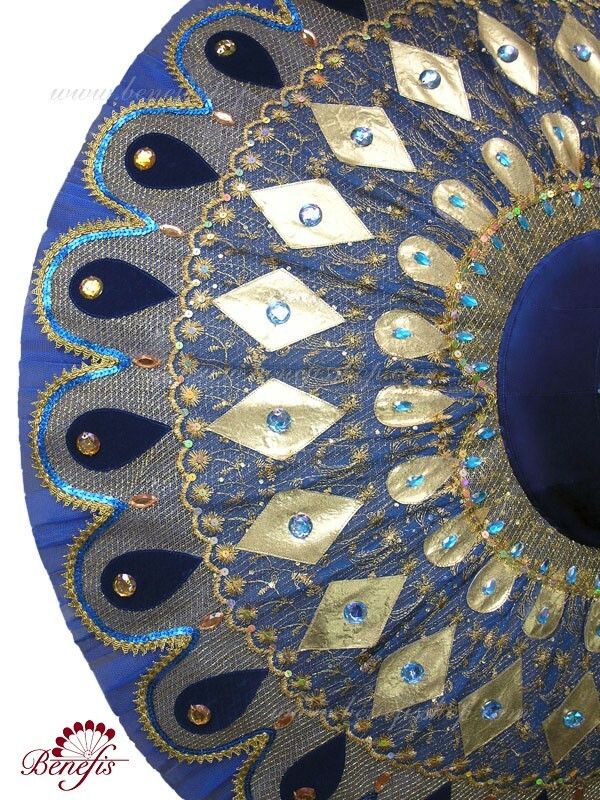 The costume is richly decorated with elements in Egypt style which provide the costume with very elegant and effective look like a Pharaoh’s daughter should do. 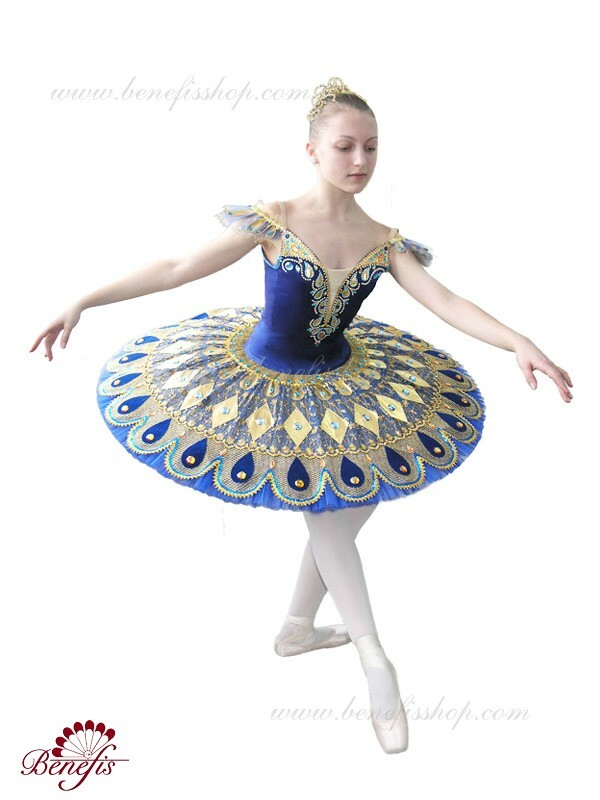 The originality of the costume is in exquisite hand work.